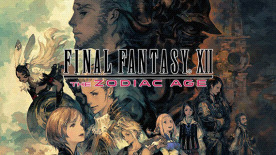 • New Zodiac Job system with improved battle mechanics. • True 7.1 Surround sound including HD voicing and fully remastered music. • Choose between original in-game BGM, new re-orchestrated BGM and original soundtrack. • Endless adventure including hunts, battles and mini-games. Expected Framerate: 60 FPS. Screen resolution: 1920x1080. Depending on the monitor and PC graphics card environment and setup used, this title can expand its display resolution to 4K. However, please be aware that 4K resolutions are not officially supported.